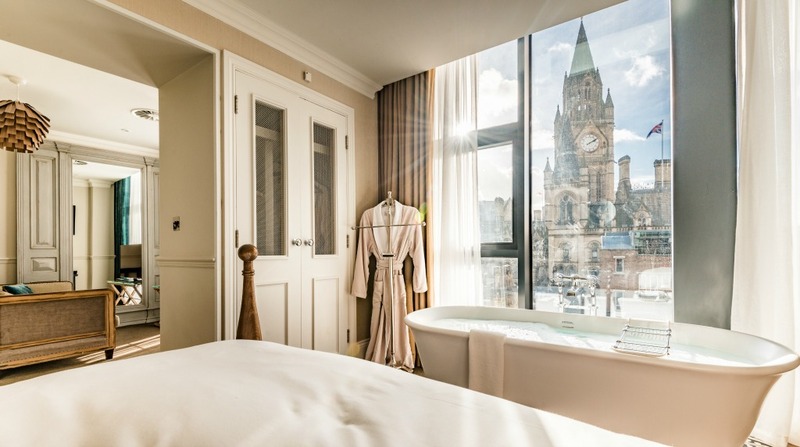 There are plenty of places to lay your head for the night in Manchester, including an array of reasonably priced hotels in and around the city. 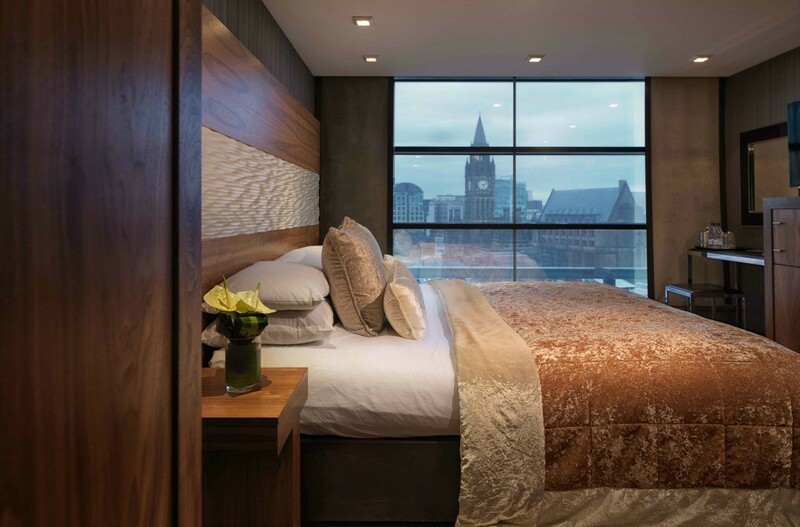 For those looking for something a little more luxurious, for a special occasion or simply to treat yourself, we’ve rounded up five of the most exclusive hotels in Manchester. Based around the Roaring ’20s, Hotel Gotham oozes sophistication from the minute you’re greeted by the well-dressed bellboy. The interior pays close homage to the Art Deco era, with decadent surroundings in all of the rooms, the foyer, the restaurant and the bar. 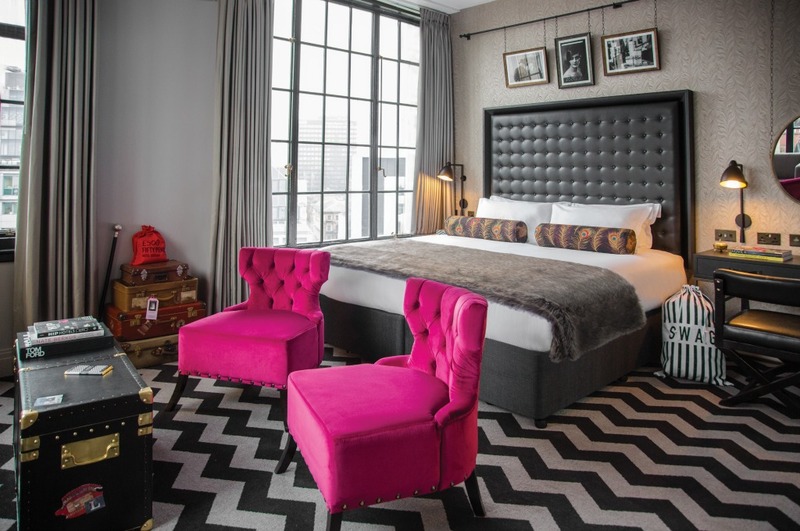 Expect black leather bedheads, roll top baths, Egyptian cotton bed linen, and a fully stocked mini bar (that includes a ‘hangover kit’ and an ‘intimacy kit’). Both themed around money and decadence, Honey restaurant and Club Brass are two of the most exclusive venues in the city, the former only open to members and guests at the hotel. One of the most striking structures in Manchester, Beetham Tower plays host to the city’s Hilton hotel. Located in the heart of the city centre, the floor-to-ceiling windows offer unparalleled views of the city, the suites becoming larger the higher up the tower they are, with the Presidential Suite offering vistas of the surrounding hills on clear days. Guests can take advantage of the luxurious Cloud 23 bar on the 23rd floor, offering a selection of inventive cocktails to be sipped while watching the sun set over the skyline. There’s also an indoor heated pool, sauna and steam room for guests who want to relax while enjoying the cityscapes. Located within easy walking distance of the city centre, close to the Bridgewater Hall, Manchester’s Radisson Blu Edwardian is one of the city’s most luxurious hotels. Choose to stay in one of the hotel’s many suites to experience the ultimate luxury, including Al Fresco suites with sliding doors opening onto semi-private patios, and Pennine Suites on the top floors, which allow for breath-taking views of the hills in the distance. Alongside two restaurants and a champagne bar, the hotel also features an exclusive spa, offering a variety of relaxing treatments, a Nordic sauna and an indoor pool. A self-proclaimed ‘baby grand hotel’, King Street Townhouse is one of the most exciting hotels in the city at the moment. Housed within an Italian renaissance building, the boutique hotel effortlessly fuses the historical elements of the building with everything that you would expect from contemporary accommodation. The 40 rooms and suites boast relaxing décor, impressive views, and all the mod cons, including monsoon rain showers and freestanding bath tubs. Guests can take advantage of an impressive array of facilities, including the rooftop infinity pool, King Street Tavern, afternoon tea lounge and the heated terrace offering views of the Town Hall. 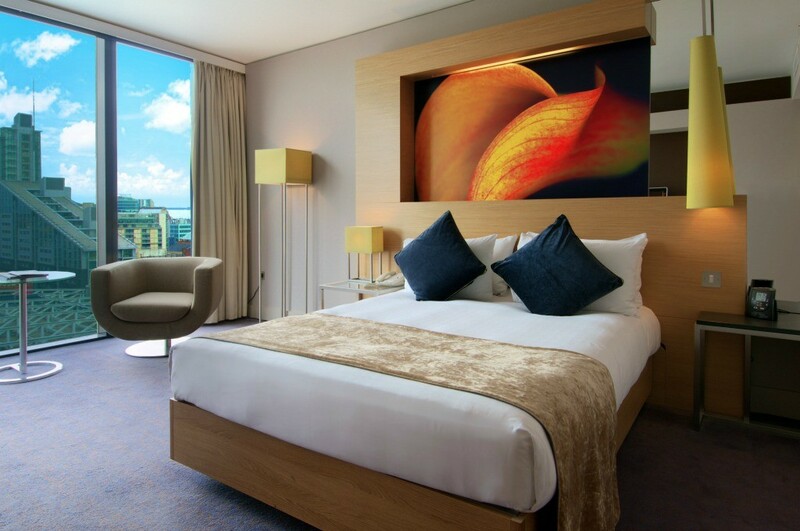 Offering the largest hotel rooms in the city, The Lowry Hotel is one of the most exclusive hotels in Manchester, frequently playing host to visiting celebrities. Alongside its comfortable, spacious and luxurious rooms and suites, the Lowry is well known for its River Restaurant and QMS Skin Spa, making this the perfect luxury retreat for guests who want to spend their stay relaxing. The spa is the first in the UK to offer QMS Medicosmetics and Skincare, featuring six treatment rooms, a relaxation room and a sauna.